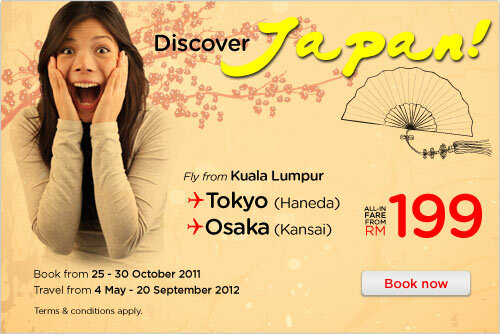 Air Asia: Discover Japan Promotion! Fly from Kuala Lumpur to Tokyo (Haneda) and Osaka (Kansai). Visit AirAsia.com now to book your Japan holiday!